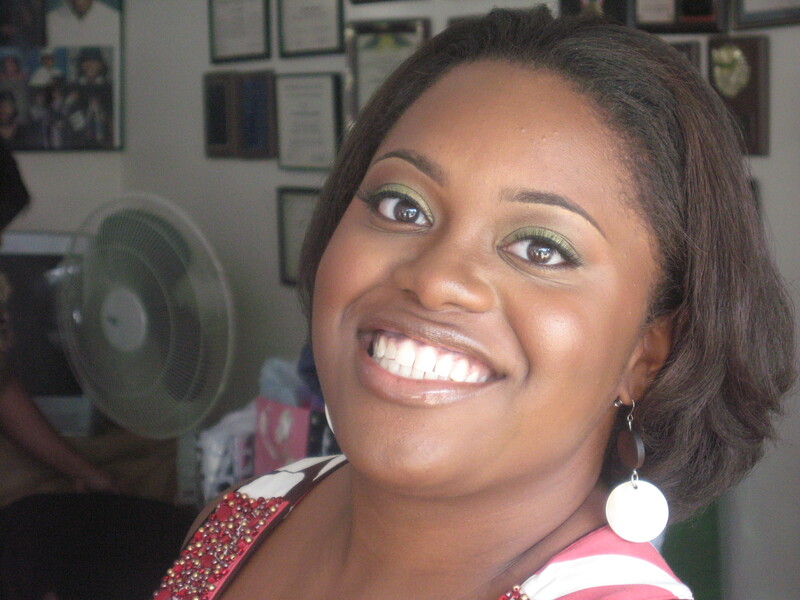 This week, our blog is dedicated to one of our own, Charnelle R. Davenport. She is the blushing bride anxiously awaiting her wedding day, October 23, 2010. All month, we have celebrated with Charnelle to ensure that the days leading up to her wedding are days that she will forever remember! 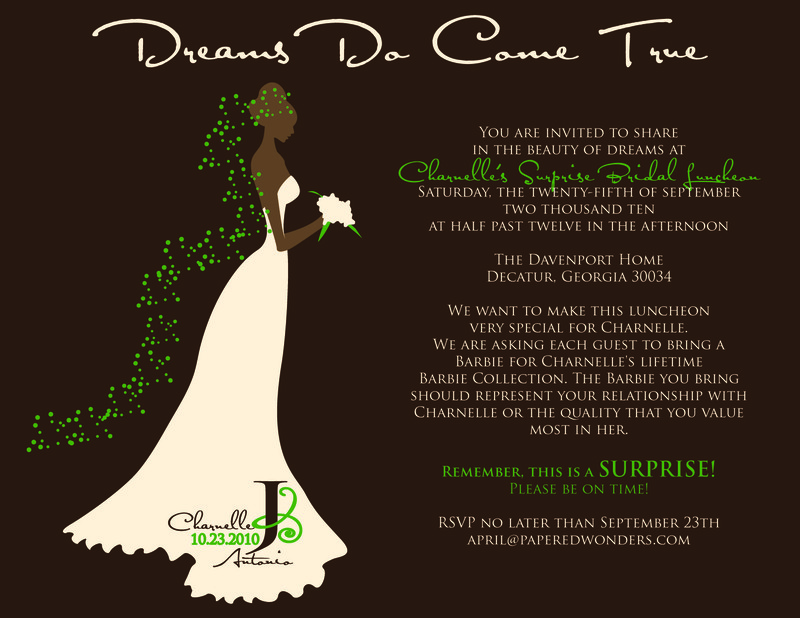 Charnelle’s Surprise Bridal Luncheon took place on September 25, 2010. Charnelle thought she was headed home for an uneventful afternoon, but was shocked to find all of her female family members and friends ready to surprise her! The theme of the luncheon was “Dreams Do Come True” and it focused on Charnelle’s love and passion for collecting Barbie Dolls. Every attendee gave Charnelle a Barbie that they felt most represented their relationship with Charnelle. We spiced up the afternoon with a little Bridal Family Feud and trivia games about Charnelle. She was able to add over 25 Barbie dolls to her collection and a lifetime of memories to her heart. To be surrounded by people who love you–now that really is a dream come true! ← Our Job Starts at "YES"! Congratulations and many years of blessed happiness to Charnelle and her husband-to-be.